Previously, it was really intricate for people in SE15 Peckham and Surrounding Areas to access professionals waste management services. As a result, most people resorted to employing some unscrupulous waste disposal methods, which were rather detrimental to their health and environment. Nonetheless, today the situation has greatly improved thanks to the continuing technological advancements. If you are searching for ways to manage your waste, then you should consider hiring waste management specialists from Easy Go Skips. We are a devoted team of waste management professionals with extensive experience in the industry. Most of us have been in this profession for more than ten years. Therefore, we have what is required to deal with all kinds of waste. In addition, we have a wide variety of skips designed to suit different customer needs. 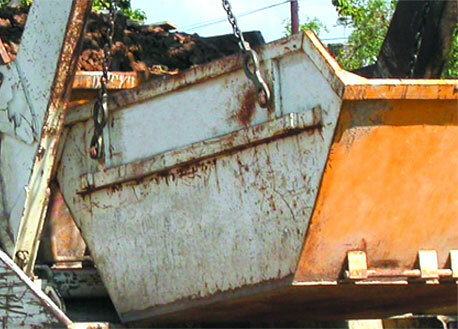 Whether you are clearing your construction site or you desire to manage domestic waste, we have a unique skip for you. Give us the most accurate details of your task and we will select the ideal skip for you. Unlike other skip hire firms in the region, we are available for 24 hours of every day. We appreciate the fact that at times you will be faced with emergencies that will require you to hire skip services immediately. That’s why we have made our skip hire services in SE15 Peckham and Surrounding Areas readily available. It is also essential to note that we offer reasonable quotes to all customers regardless of the intricacy of their projects. Before we give you a quote, we will estimate the project thoroughly to ensure we charge you what you truly deserve. Furthermore, we will suggest ways of cutting down on the cost of the project. Our objective is to help you clean your property without any financial problem. Also, the quality of our waste removal services is our main concern. Therefore, you can rest assured to get the best services at a reasonable cost.